Without mentioning anyone competing with Bright Hub, know that numerous companies pay for content. That is what all the sentences, paragraphs and pages being churned out for the web are called now. Content. There are no more writers. We are “content creators" endlessly feeding the insatiable internet. Some websites are very picky when selecting content creators. Most require writing samples. Some want a portfolio, work experience or a degree. Others don’t care. Just fill up their boxes with content and they are happy. Some pay well, many very little and some none at all. When competing with the entire globe, someone will always do a job for a dollar when you wouldn’t do it for 10 bucks. Some sites are job boards. A client will post a topic, an audience, a word count, a deadline and a price. If you want it, grab it and write it. You will be rated on your performance. You’ll be penalized for being late. You will have an overall rating that may affect the types of writing jobs you can take. Initially, you may only be qualified for low price content, but you can work your way up the ladder to the best jobs. That is one reason to start while you are still a young student. By the time you graduate, you may be on the top tier. Some crazy stuff pops up on the job boards, but it can be fun to write. I have produced content about how to thin paint, the dangers of angel dust and protecting your car from softball-sized hail. Other sites are based on bidding. A client posts a topic and length. Then writers pitch why they deserve the job and at what price. Sometimes the job goes to the writer that sways the client with the best pitch, portfolio and resume. Sometimes it goes to the lowest bid. These sites can be time consuming. In order to make the perfect pitch you need to analyze the client, present appropriate samples and craft a persuasive argument. This may take longer than the actual assignment, if you win it. If you don’t, you just wasted your time. I usually prefer the pick-and-write method of the job boards. Time is money. With any luck, you can cultivate a relationship with a writing employer. It’s great when you can pitch ideas to them and write what you want. It’s better, faster and easier to produce an article about something you know and are interested in. There are Scams on the Web? Yes, there are scams on the web. The content creation business is no different, so be wary. I’ve written for websites that just shriveled up one day and disappeared without paying me. If it looks like a solid and reputable organization that’s been doing what it does for a while, trust it. Otherwise, write at your own risk. A good practice with anything is simply to type the name of the company plus the word “scam" into a search engine. You may instantly find horror stories of people who lost time and money to dishonest people. If you ever feel someone may have used your writing without your permission, put a sentence or two in the search engine. If you find your words where they shouldn’t be, attack. And some things are not scams, but will waste your effort. Before putting too much time into writing samples, grammar tests and applications, ask yourself if it’s worth it. I have sunk two hours into an essay on a painfully dry topic only to be turned down. Looking back, I never really wanted to write for them anyway. Watch out for sites that pay only based on traffic. If your piece goes viral and gets a zillion page views, you will get paid. That’s part skill, but lots of luck. Otherwise, you will make nothing. In addition, demand access to real-time traffic information. You deserve to know what people are reading and when. Then you will know what works. Absolutely my favorite part of freelance writing is being paid to learn. Even with topics you are familiar with, you will dig deeper and get more specific. Sometimes you’ll get to write about something you don’t know about. After some research and learning, you will become smarter. I once picked up a job writing about an electric car prototype. It led to much more work and subsequently more learning. I studied battery technology, solar power, electric car history, hydrogen fuel cells and much more. Now I drive an electric car and have become an advocate. Working with Bright Hub, I have learned a considerable amount about teaching and online education. Now when my little kids became bigger kids, daddy won’t be a dummy about their scholastic future. Hopefully, you can write about the things you are studying. Put that knowledge to direct and profitable use. You will learn it better and more completely by taking the time to explain it to another audience. Maybe you have not decided on a major or a career path. Being paid to learn will lead you to topics you hadn’t considered yet. Learn once, use many times. If you wrote an essay on symbolism in King Lear, go out and find someone who wants an article about symbolism in King Lear. Lots of someones, but don’t use the same text. What you know and believe you can spread all around, but you need to use original words each time. Plagiarism is commonly considered stealing another’s material, but you shouldn’t even steal your own. Don’t allow the same sentences appear in multiple places. Yet, if you take the time to learn something, get mileage from it. Find magazines and websites that discuss things you love. Then ask to write for them. Maybe at first it will be free, but you are building a resume, a reputation and a portfolio. Start when you are young and keep at it. It will grow into something good. Your time is valuable. For now, knocking out an article for $10 means you can order pizza. Even writing for free will get your ideas in front of people. As your skills grow, you will get to a place where you will produce nothing for less than $100. One day, one of them may land you a job. Writing can be done as a side-gig or a part-time job and you may not be paid a lot right away, but it’s a step in the right direction. When you are hungry for a little extra cash, you’ll be able to fall back on your freelance writing. Hopefully, you have grown your brand into something bigger. 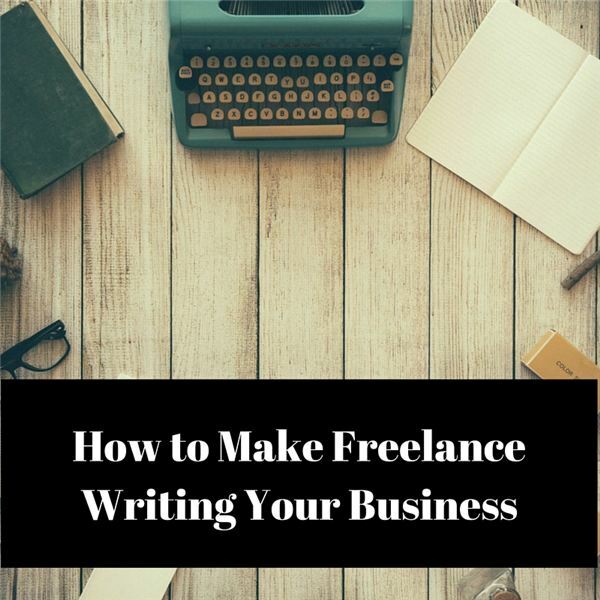 Maybe freelance writing can be your full-time thing. The best time to cultivate yourself is now. Take some of what you’re learning and spread it around. You will make the web a smarter place and earn a few bucks in the process.